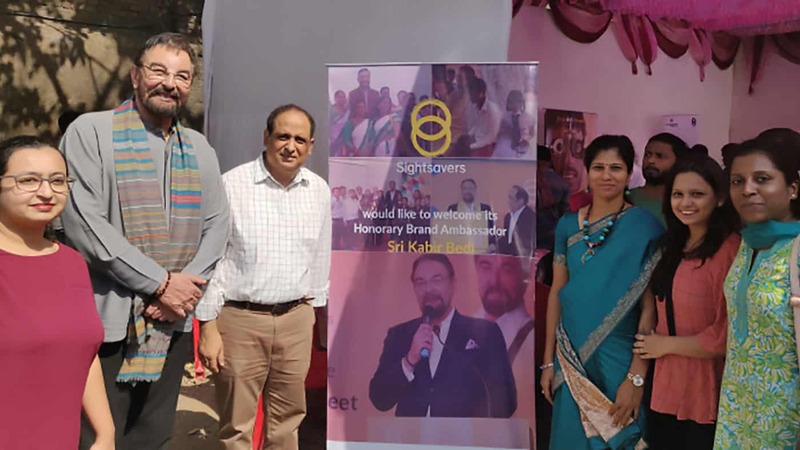 Kabir Bedi, the Brand Ambassador of Sightsavers India visited the eye screening camp under RAAHI – National Truckers’ Eye Health Programme in Bhiwandi on the successful completion of its one year. 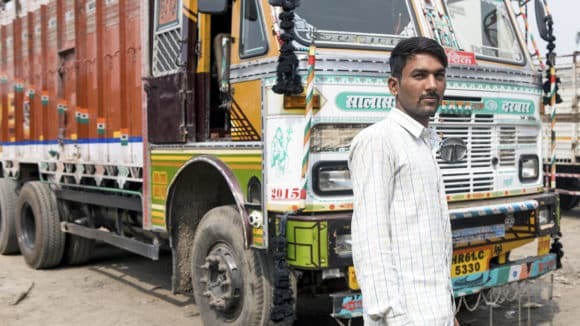 An initiative of Sightsavers- RAAHI is one of the biggest the Eye Health Programmes for the truckers community in India. The eye screening camp organised by Sightsavers in Bhiwandi was supported by RPG Foundation. RAAHI – National Truckers’ Eye Health Programme is designed to align with the Sightsavers global Uncorrected Refractive Error (URE) Strategy where Road safety is a core component. The truckers were given free eye checkups and corrective measure to combat with their eye health issues. The main objective of the programme is to increase the uptake of referral services among the occupational driving community in locations with the highest target population density, over a period of 3 years and to facilitate and ensure that refractive error and referral services are delivered and consequently followed up adequately as well as appropriately maintaining the compliance for spectacle distribution. All Static Vision Centers and Eye Camps are conducted by trained eye care ophthalmic staffs associated with Sightsavers hospital partners. The RAAHI National Truckers Eye Health Programme is currently active in key transport hubs, truck terminals and major fleet sites in the golden quadrilateral of India. At present, the programme spans 34 cities on the Golden Quadrilateral and its periphery, altogether accounting for 13 states and 1 Union Territory of India i.e. Delhi and National Capital region. Indore, Bhopal, Jaipur, Kishangarh are few cities where the programme is currently in operation. The centers are supported by key donors such as Cholamandalam, RPG Foundation and Rayban. Sightsavers, the leading Global development organisation is also planning to expand their RAAHI programme in the North South – East West corridor locations as per their future expansion plans. Talking about the initiative, Mr. Kabir Bedi, Brand Ambassador of Sightsavers said, “I feel honored to be associated with Sightsavers India that is working towards combating avoidable blindness across India and abroad. Avoidable blindness is a key health issue that needs major attention and the most important way is to raise awareness. People need to know that major eye problems, which lead to blindness, can be prevented through early detection. RAAHI is a great initiative that will enhance the lifestyle of the truck drivers. I’m very thankful to the truck drivers for delivering the goods to various parts of the states and to Sightsavers for providing this opportunity to me to work towards the welfare of the people affected with eye related disorders. Truck drivers in India were struggling to get their eyes checked, so we've taken eye care services directly to them.